Running events and charities are great allies, but why is it that sport is such a staple in the fundraising and communications calendar? For the participants it's all about aspiration, the challenge, the desire to succeed and a commitment to making a difference. During the training, it's the determination, the effort and work towards a goal. It's a real test of motivation to put in the sustained effort. The actual event itself is about expectation, nerves and excitement. It is a time to deliver, put in some blood sweat and tears, grit and determination into achieving the desired result. With all this in mind it's not surprising that charities and running work in such beautiful harmony. It is the perfect platform to express a charity message. Ambition, target, resolve, motivation, dedication, commitment, drive, determination, stamina, perseverance, hard work and achievement – all these words evoke the energy, purpose and intention to make a difference. "The Brighton Half is a powerful event that brings many people together, from seven to 70 year old runners, first time to elite, their families, supporters, spectators and friends. The element of fundraising associated with the event is incredibly significant for the Sussex Beacon but our charity benefits in so many other ways. Primarily, it allows us to reach out and engage with many organisations, charities and people that might otherwise never encounter the Sussex Beacon; they learn about the support and the services we offer." 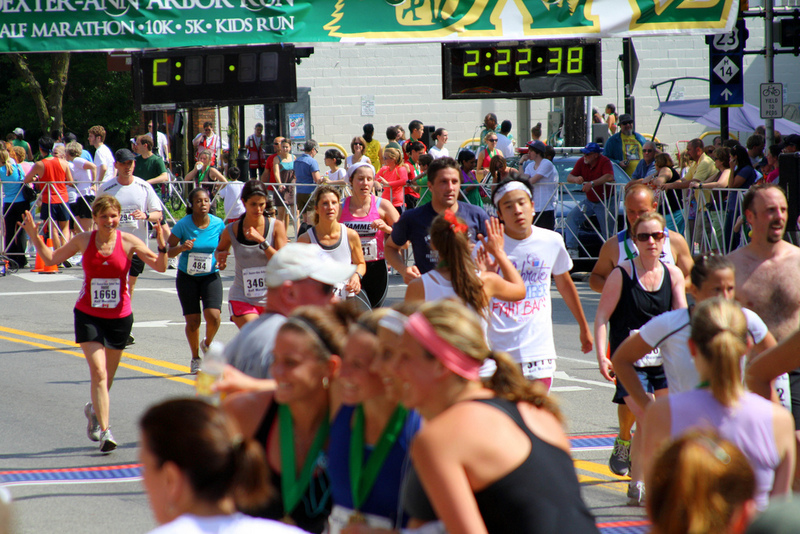 The success of running races continues to increase year on year, attracting more and more interest. The demand for places is evident, for example the brand new Plusnet Yorkshire Marathon which was launched in January 2013 and sold out its 5,500 places in three days. Large sporting events such as the half and full marathons are powerful ways of bringing many diverse individuals together. They’re a way to prompt participation and involvement through wider roles such as cheering squads, supporters and volunteers. We only have to look at the recent London Olympics to see how sport can inspire, motivate and bring people together. In terms of simple awareness – someone sporting a vest with a strong logo running past hundreds, thousands, sometimes tens of thousands of supporters is a very cost effective way of getting noticed in a positive environment. Running a marathon is all about taking it one step at a time, building up your fitness levels with no corner cutting or quick way to get there. Its understated and elementary principles appeal to charity messaging of truthful and matter-of-fact communications. Metaphors aside – the goals for both runner and charity combine to raise money and awareness, a perfect marriage between fundraising and communications.